Good news rang through the state of Mizoram on Wednesday with the Budget Session of Parliament being adjourned sine die without tabling the Citizenship (Amendment) Bill, 2016. However, the Congress president Lal Thanhawla and ZPM leader, Lalduhoma are still apprehensive about a possible ordinance. Lalduhoma, ZPM leader also believes the nation is still under risk and said this is only a temporary relief. While he thanked the political parties and Rajya Sabha members in their fight against the bill and said it is a sigh of relief for secular minded people belonging to various religions and communities across the country that the draconian bill is not carried in the Rajya Sabha. “The call of Mamataji, chief minister of Bengal for a United India is still valid. The danger is still looming over our heads today so the call of unity against communalism is still clear and loud and valid. 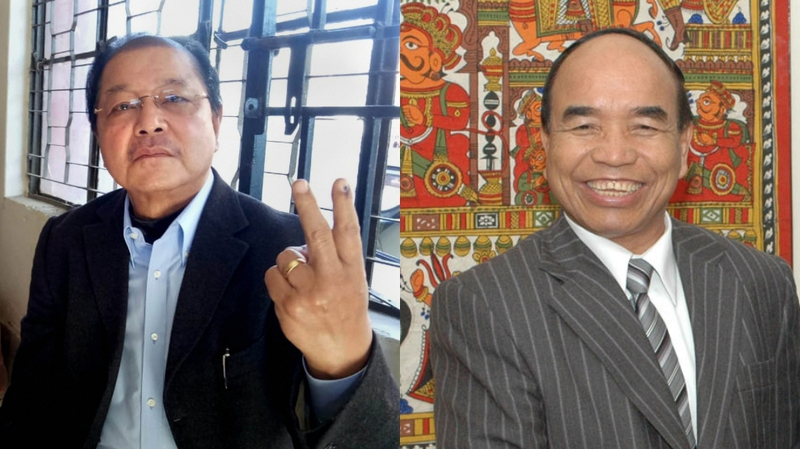 I request all the secular forces to join hands together to ensure that BJP and their partners do not form a government in the centre in this coming election for which my party Zoram People’s Movement will try to do our best,” said the ZPM leader. Meanwhile, Chief Minister Zoramthanga also shared his joy over the bill not being tabled in the session. “We have to give thanks to the people who have tried their level best for this cause and to the Government of India which has not pulled through this Citizenship Amendment Bill,” he said. Giving a message to the Central Government, the chief minister said, in the future the government of India has to think anew on any issues affecting the Northeast which is a sensitive area and refrain from hurting the sentiments of the people. He especially thanked the NGO co-ordination and the church who he said has played a big role in the context of Mizoram in the fight against the bill. The Central YMA president, Vanlalruata thanked the Mizo society and the entire Northeast people who he said had put lot of efforts, energy and resources to fight against this bill. “Lastly, the success results has come out so we are extremely grateful to the society, the churches and all political parties who have stood together with one voice and fought against the bill,” said Vanlalruata.